America’s National Guard is our country’s oldest military force, tracing its roots back to the first regiments of the Massachusetts colony. Thus, it’s no surprise that The Bay State’s history would feature prominently in the logo for our National Guard. The modern logo of The National Guard. The modern National Guard logo, features a patriotic color scheme, the service’s official motto (“Always Ready, Always There”), and most notably a likeness of the iconic “Minutemen” who battled the British during the American Revolutionary War. 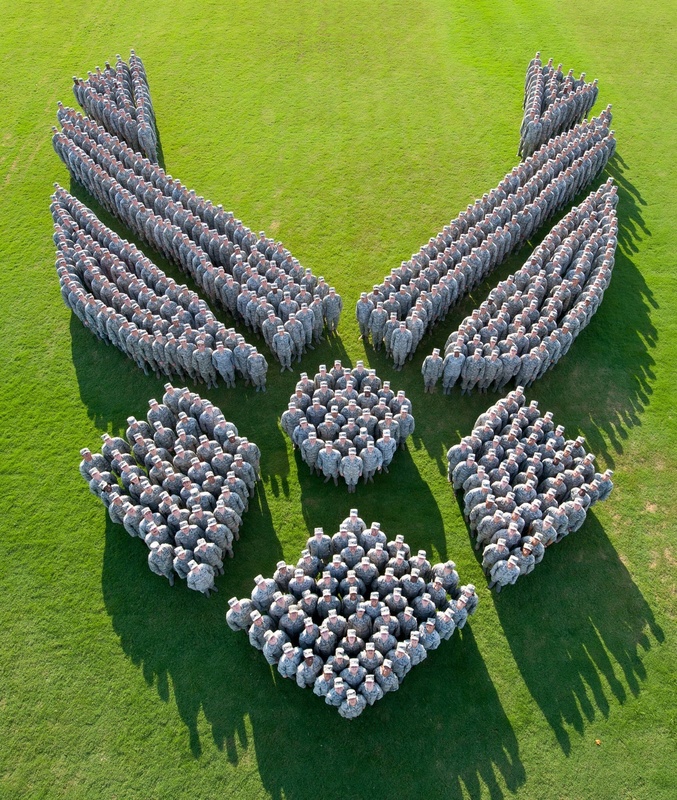 It is specifically the Minuteman image that will be our focus in this list of 5 things you didn’t know about the modern National Guard Logo. 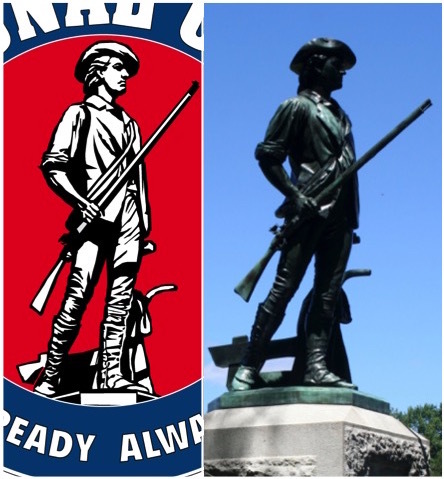 The logo’s Minuteman inspiration came from a specific piece of art. In this case, it is the famous Concord Minute Man statue in Concord, Massachusetts. The Minute Man was unveiled in1875 by sculptor Daniel Chester French, and resides near the historic North Bridge in Concord, Massachusetts. The Concord Minute Man, erected in 1875. The Concord Minute Man is said to represent the Massachusetts colony’s militia and its first three regiments, the 181st Infantry, the 182nd Infantry, the 101st Field Artillery, and the 101st Engineer Battalion of the Massachusetts Army National Guard – these groups share the distinction of being the oldest units in the U.S. military and the beginning of the National Guard. The Minutemen upon which the image/statue is based were townspeople, mostly farmers. This is depicted by the Minute Man who has lowered his plow, raised his rifle and is stepping forward towards the impending battle. Additionally, the plow is a symbol for the land he and fellow Minutemen were defending. The Minute Man’s pose was loosely based upon that of the Apollo Belvedere that resides in Vatican City. Apollo Belvedere has for centuries epitomized ideals of aesthetic perfection for Europeans and westernized parts of the world. Side-by-side comparison of the Concord Minute Man (left) and Apollo Belvedere (right). With the success and fame of Minute Man statue, French became a nationally known and highly-sought-after sculptor, going on to design the Lincoln Memorial.